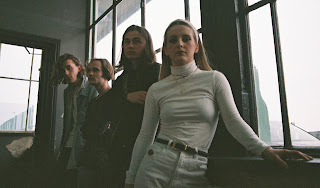 Background - Edging ever closer towards the forefront of emerging British indie music, Brighton’s Thyla deliver another glistening reminder of their boundless potential in thunderous new single Blame. Marshalled by frontwoman Millie Duthie’s soaring vocals, Blame exemplifies a band at the very top of their game with this latest display of euphoria soaked in reverb, brimming with creativity and accompanied by a series of stratospheric riffs and their trademark anthemic chorus. Spotlighted alongside Pale Waves, Nilüfer Yanya and Sorry in NME’s 100 Essential Acts for 2018, the indie juggernauts have already attracted a whirlwind of online support this year alongside sharing bills with acts including Sunflower Bean, INHEAVEN and Fickle Friends. 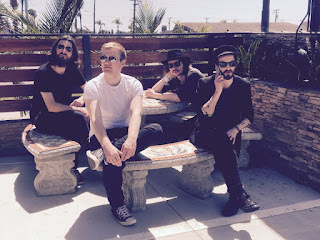 Background - Norway’s Mayflower Madame have shared a new video for their single, "Premonition." 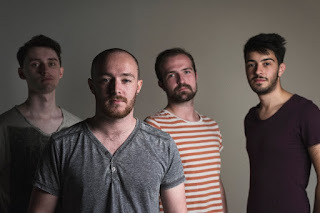 This is the title track off the band's upcoming EP, Premonition, dropping on May 18th. The band's 'Premonition' EP will be released digitally and on CD via their own label Night Cult Records as well as on cassette via SpiderChild Records (U.S.) and Black Verb (Germany). Levity - Dreamers of the Night. Background - Imagine the lovechild of Tom Morrello and Anthony Kiedis whose favorite uncle is Jimi Hendrix; this is Levity. Dreamers Of The Night , the new single by Levity is to be released 1st June. The track showcases the band’s raucous but opulent energy, a hard edge with lashings of soul and funk. Brighton’s beat dropping, slick licking outfit Levity will be joining South Africa’s fuzzy pop Early Hours for UK shows during May and June. Packing out a string of headline shows across the UK, being championed by the BBC, appearing on multiple festival stages, Levity are a rock combo free from pretense, oozing with energy and excitement of a band rising. TWITTER. Jamie Lynn Vessels - Dear Love. 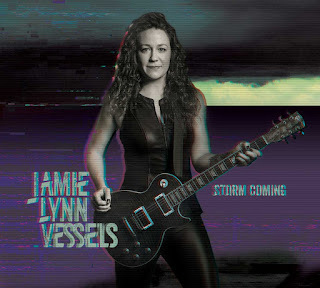 Background - "Storm Coming" is Jamie Lynn Vessels' new blues-rock album, released last month. Jamie Lynn Vessels is a soulful rock and blues artist with her roots in songwriting. Likened to Bonnie Raitt and Sheryl Crow, this six-foot tall rocker will captivate the audience and command the stage as a solo act or with her full band. She has embraced New Orleans as her musical hometown, and the city has done her the same, affording her the opportunity to add grit and soul to her style and music. No matter where JLV travels and plays, there is something undeniable about her songs and musical appeal... whatever your taste, Jamie's voice and presence will capture you. Her music is soulful, bluesy, filled with intricate lyrics and beautiful stories, and delivers a stunningly intoxicating ride of rock 'n' roll. Background - Melbourne five piece DIET are set to launch their third single “Danny Boy”, a live show favourite, that recites a passionate “…how are you?” from one brother to another over an interstate phone call. Following on from their 2017 single releases that included the ode to the classic Aussie tradition of streaking in “Clothes Off”, and the heartfelt love letter that was “Take Me”. “Danny Boy” features all the classic DIET hallmarks of nostalgic synthesizers and playful guitar lines influenced by classic UK underground sounds of yesteryear. DIET have officially joined the artist roster of leading Australian Talent agency New World Artists. 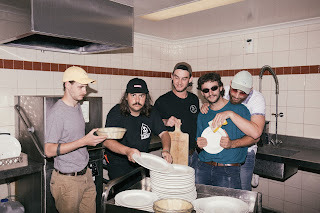 It follows on from supporting Australian band Polish Club across a sold out National Tour and playing a number of sold out shows up the east coast that included their now legendary PIZZA Party at Melbourne’s infamous “GASO”.